This was an olive tree in the countryside in Arles at an olive orchard. The orchard was owned by a family for nearly twenty years but the location and buildings grew olives since the 17th century. 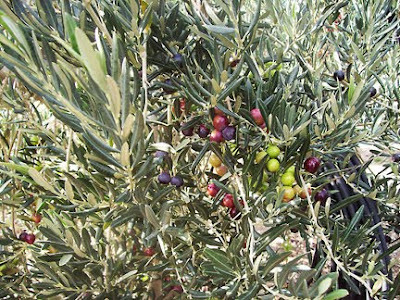 They use rakes and nets to get the olives off of the treees when they are ready. Here are the olives gathered and mixed together. The green and black olives are from the same trees-the black olives are just more ripe. 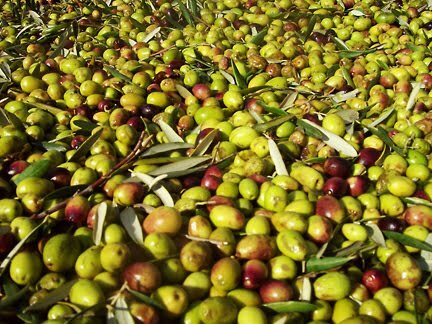 For the best olive oil they press olives from different trees from around the region. 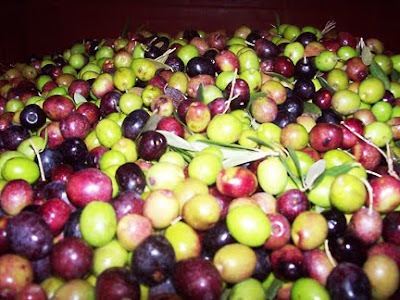 Here is a mixture-People that bring their olives to the press mill ask for oil in return. 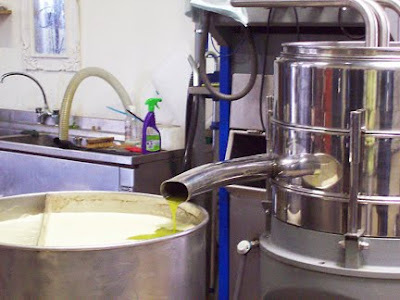 This mill produces some of the best olive oil in this region of France. Here is the press squeezing out the fresh olive oil. Their website is www.masdesbarres.com. The mill is called Mas des Barres-a wonderful place! 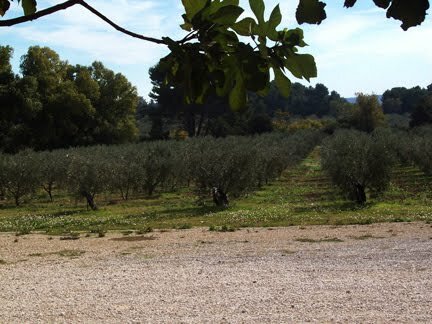 Here is a view of the lines of olive trees-now we can appreciate delicious olives and the oil. What a process!